My dad made educational videos for a living, so I grew up with more-than-average knowledge about the process of making films. Back then, of course, the equipment required included giant cameras with VHS tapes actually inserted into them and massive desktop editing suites. You had to do everything right if not the first time around then at least the second, ‘cause even rendering the simplest changes took hours upon hours upon hours. These days, obviously, the scene has changed. Filmmakers in 2015 have access to a huge range of tools that work so much more efficiently, for a fraction of the price that my dad paid for his stuff in the early ‘90s. If my dad was still making videos today, he’d probably be pumped to check out Wipster. 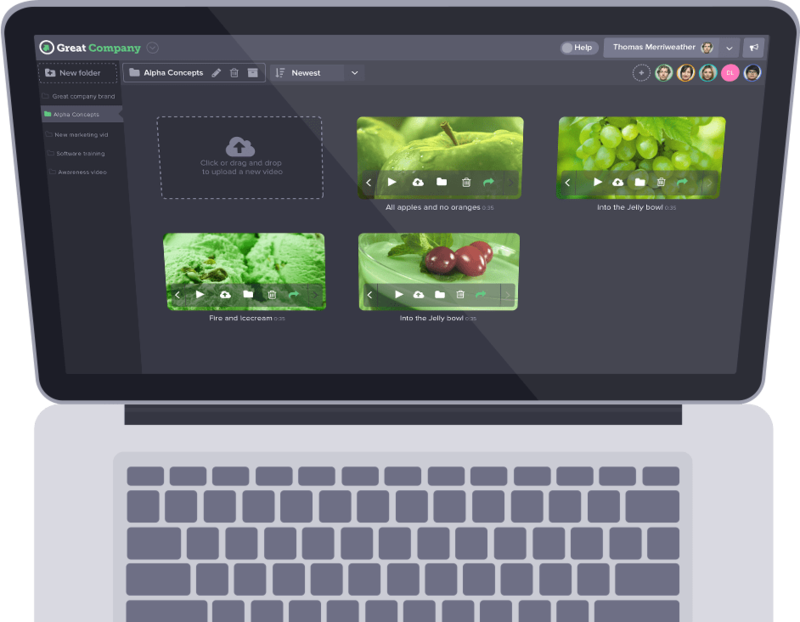 Wipster is thoroughly contemporary tool for filmmakers, allowing them to solicit feedback, make changes, and essentially keep track of their entire workflow in one place. It’s a great tool for collaboration, allowing remote teams to work together toward a common goal or as a way to expedite the often lengthy feedback process. Clients (or team members) can comment directly on the videos and that feedback is then automated into an actionable wordlist. New videos can be stacked on to of old ones, keeping everything in one place and they all can be shared with as many people as the filmmakers want, in perpetuity. Wipster solves a problem that filmmakers have been having since before my dad even picked up his first camera in the ‘80s: how to get and implement feedback quickly and seamlessly. It should be added to the toolbox of anyone working in video in 2015.